Doesn’t their neighbour, Picaroons, also have a beer named Winter Warmer? Not too original. Sounds tasty though. 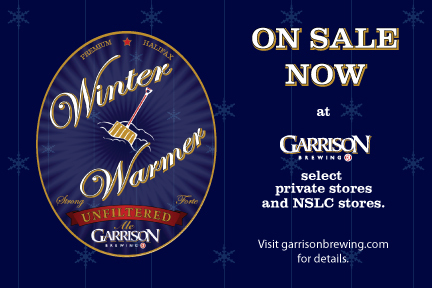 You’re right, Picaroons produces a Winter Warmer as well that is expected to be available soon. Winter Warmer is a fairly common description for beers that either fits in the BJCP barley wine categories (http://www.bjcp.org/2008styles/style19.php) or Christmas / Winter Specialty Spiced Beers (http://www.bjcp.org/2008styles/style21.php).